If Facebook forced me to define my relationship with Valentine’s Day, I’d have to select “it’s complicated.” On one hand, it’s a good excuse to go on a sugar-high-fueled glittery-pink-heart-shaped spree of sharing the love. On the other hand, Valentine’s Day has become a horribly shopping-driven holiday that encourages us to commodify our relationships and evaluate how much we’re loved by how much someone spends on us. Not to mention that it creates a lot of trash from wasteful packaging and cards that may not even make it to the recycling bin. 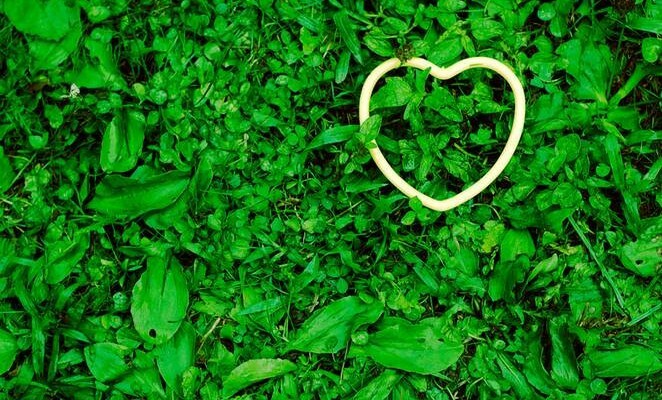 So, to reconcile these two impulses, I’m offering this list of ways to share the love with everyone you adore without hating on the environment. Vegan treats will sweeten the day without the waste–since they’ll definitely be devoured. Consider homemade Sweetheart sugar cookies or chocolate cupcakes with strawberry filling. That singing card might be charming, but e-waste is less cute. If you’re single or not, this day will involved some sort of chocolate for many people, but cocoa farming is associated with some serious ethical and environmental problems. That’s why it’s important to stick with fair trade chocolate. An old-fashioned homemade Valentine can be way more meaningful than something you find in a store. Consider turning scrap paper, pressed flowers, or fabric scraps into cool, handmade cards and tokens of affection, like these cute cardboard hearts from the Five and One blog. That scarf you’ve never worn? That book you’re not going to re-read? Consider re-gifting. Or check out Gifteng, a site that helps you give and receive in your area. If you’re going to do some gift shopping or eating out, consider supporting a local business instead of a big chain. You can also look for locally made products. For example, I recently discovered Bixby chocolate, made here in New York state with ethical cocoa. If flowers are a must, look for organically grown options because cut flowers can be particularly drenched in toxic pesticides. If you’re not sure about your local florist, you can also order online from Organic Bouquet. Even better than cut flowers, why not give a plant that will last longer than a week? Here are recommendations for houseplants that don’t need much water. When it comes to picking a wine, look for the organic label or the Rainforest Alliance seal. Learn more about eco-friendly wines here. © The Nozomi ProjectI love jewelry that comes with a beautiful story. If jewelry is the only way to delight your beloved, consider browsing Helpsy’s selection or supporting the Nozomi Project. It definitely won’t end up in the waste bin. You may want to opt for vegan protection, to keep things smooth with organic ingredients, to get good vibes without phthalates or have fun with plastic-free play. Not only does it feel good, it’s good for your health. 14. Do something extra nice. Maybe it’s making dinner for your mom or maybe it’s taking out the compost for your roommate. Maybe it’s just calling that friend you haven’t heard from in a long time. I’m sure you can think of something nice to do for the people you care about, and that’s what this day should really be all about. Oh hello there! Are you feeling the Christmas spirit? Do you already have presents for your loved ones? Better have your Christmas shopping now! Isn’t it hassle-free to buy your Christmas presents in this early moment? Instead of waiting for rush and last minute shopping, running all over the town and putting yourself in crowded places, secure a safe and eco-friendly early Christmas shopping. Yes, an eco-friendly Christmas shopping. Make a list– Before going to shopping places; make a list of the things you need to buy. This will help avoid wasting gas from commuting or even with your own car, not just that, it will also make you spend less because this will make you stick to your budget. 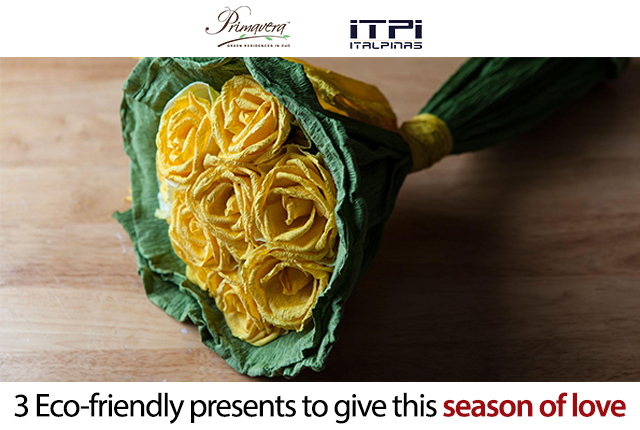 Your loved ones will appreciate more if you give them a well thought present and at the same time bringing no harm to our environment. Shop in one place– Stop exhausting yourself from walking and running all around shopping places. 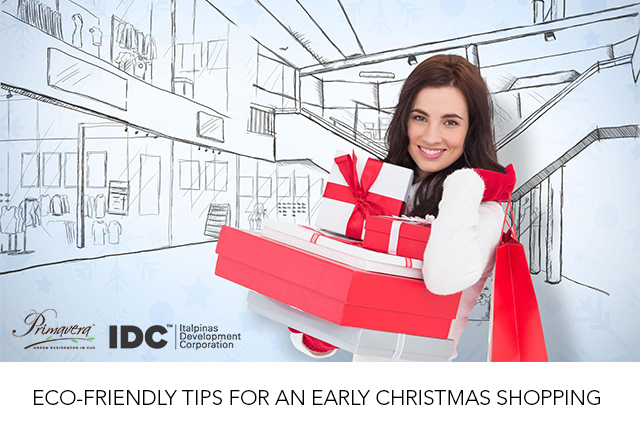 As much as possible, try to look for a mall or a group of stores where you can buy all you need for presents. It will help to reduce carbon emissions produced from your car, and will lessen time consumption. Use Eco-bags– Refrain from using the usual plastic bags that will take approximately 500 years or more to decompose, and would contaminate soil, waterways, marine life, and animals upon digestion. Instead, use eco-bags or any reusable shopping bags that you could bring with you every time you shop. There are also lots of shopping malls and stores who sell eco-friendly bags, have it and enjoy your green Christmas shopping. Shop Online– If you don’t want outdoor shopping, why not try to have your shopping online? There are lots of online shops that give you easy access and convenience. Aside from the fact that it’s more comfortable and relaxing way to shop, this is also one great way of reducing carbon emissions produced when running around the city to buy your Christmas gifts. One more thing, shopping online would also help you save your time and avoids you from unwanted situations like waiting on long lines and being in a middle of the crowd. Here you go! 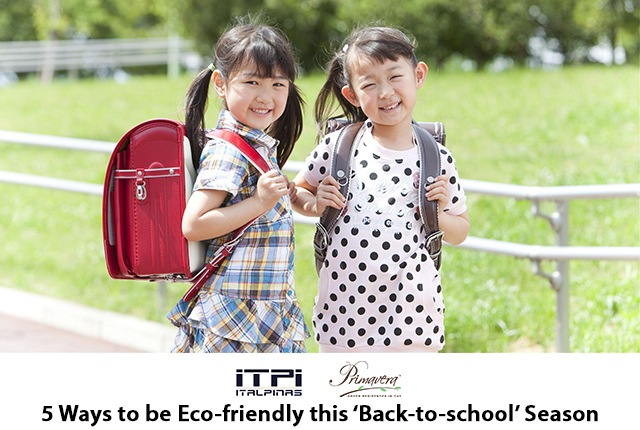 You can enjoy your shopping in an eco-friendly way that’s not just beneficial to our environment but also for us. Have a Green Merry Christmas! Do you want to know more about Primavera Residences? 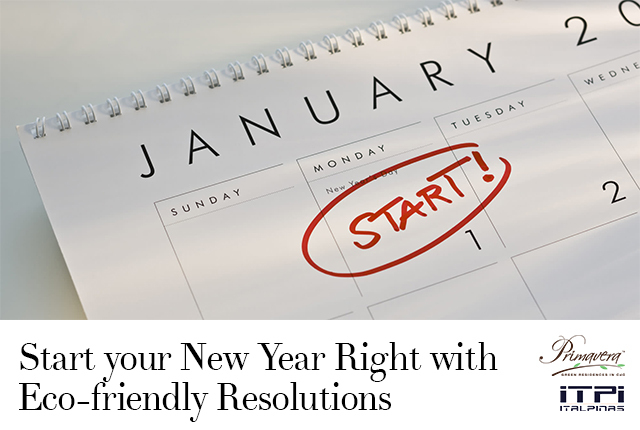 You may click here for more information! Oh hello there, Summer! This is the season where most of us go for a vacation, rest at home, watch movies, go trekking, and seek for more adventure and fun. 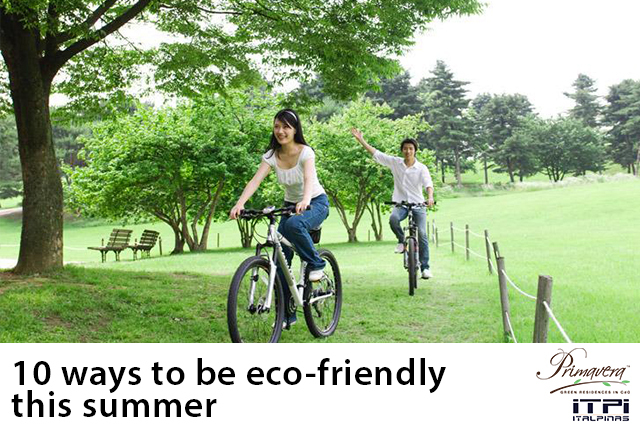 However, no matter how extravagant or economical we want our summer to be, there will always be ways on how to make this season a little more eco-friendly. Use natural lighting. Why use unnecessary light in your house or workplace when all you need to do is open your windows or blinds during the day? Get indoor plants to purify the air you’re breathing inside your home. Aside from it will liven up your home, indoor plants fight indoor pollution which is often worse than most of us realize. Start your own backyard garden. It’s time to grow some fresh fruits and vegetables. They are organic and they also taste better. By growing your own organic food, you can save your car’s gasoline and money as well. Eat at home. Get away from processed food and start making more meals at home. It’s cheaper and better for you too. Walk or use your bike. Many people don’t consider this as an option, but think how much you used to walk around when you were younger. Those feet are made for walking. You can save the world as you can save yourself too. But if you need to do any driving, slow down a little. Not only that it will help lessen your fuel consumption, it will also help you enjoy your driving time. When idling, better turn off your car for it saves gas and harmful emissions. When planning for a staycation, make the simple change in doing all your energy-heavy chores at night. Do your laundry, vacuuming, and drying at night for these cut your energy bill and prevent your home from heating up during daytime. Drink just enough. Your body needs water to stay healthy and hydrated. Don’t waste it though. Water can also be used to water plants, give to your pets, etc. Just be aware of what you are doing and you will probably save quite a bit. When your appliances and gadgets are not in use, better unplug it and reconnect with your family. Since you’re unplugging, better go out, and explore the world. Have a potluck get-together. Invite family and friends over for a picnic or backyard party. 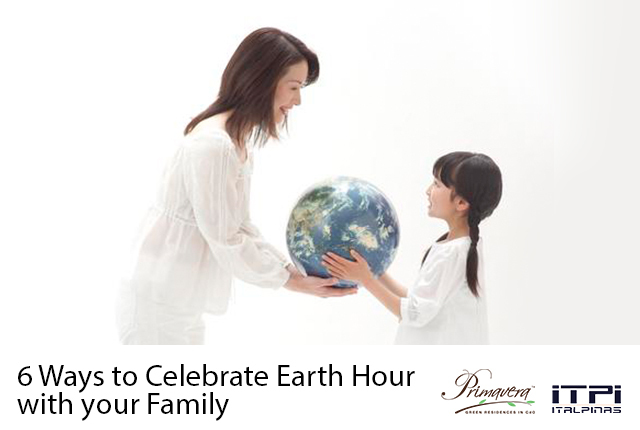 Ask them each to bring a specific food item (in a reusable container) along with their own dinnerware, cups, etc. This way you’ll have a great mix of foods and drinks. Plus, there will be very little clean up or waste afterward. There you have it. How’s these for summer, huh? Primavera Residences, the premier eco-friendly development in Cagayan de Oro City, regularly shares green tips for our readers. Do you want to know more about it? Click here. The world generates twenty to fifty million metric tons of electronic waste each year and most of the consumption is caused due to heavy use of electronic appliances according to the United Nations Environment Program. However, there are ways to reduce the wastage of electricity by switching to gadgets with solar-powered counterparts, or gadgets that are made from recycled materials and are non-biodegradable. No need for an outlet or any batteries at all, just a bamboo cut to the usual portable speaker with a slot on the top to rest your iPhone. All you need to do is turn your phone’s speaker on, set it in the slot, and the natural acoustics of the bamboo will amplify the sound. Yes, no electricity required. How’s that, huh? With the rise of the high technology gadgets that contribute to global warming, consumers nowadays are getting even more conscious on how they’ll be able to contribute to being eco-friendly. Eton Mobius helps when you’re out for a day of traveling and need a quick and simple way to have a little bit extra juice, and you want to be eco-friendly about it. Eton put out a rechargeable battery for iPhones that is essentially a case with a solar panel attached at the back. How about a free battery charging wherever there’s sunlight, ey? As much as we try to accept the advancement of technology and its implications in our daily life, we have yet to embrace it in its totality. One fine example of such a situation is our use of the bulky cathode-ray tube (CRT) monitors that we use as screens for our computers. They are huge, heavy, space and energy consuming, and the worst part is, they comprise of deadly chemicals like lead to manufacture. To reduce this, make the eco-friendly switch by replacing them with LED monitors. These monitors are lightweight, sleek, and have less moving parts. Even better, they consume less electricity and also give a more user satisfaction in terms of display than its predecessors. Make the eco-friendly switch if you are using the old boxes. You will never go wrong with the multi-functionality of your smartphones. Think about it: your phones are your cell phones, mp3 players, digital camera, e-planner, e-reader, GPS device, calculator and so much more. In fact, the more uses you find for your smartphone, the more eco-friendly it becomes because each time you consolidate your gadget needs into the apps and functions contained in your smartphone, the fewer peripheral device you need. The fewer electronic devices you buy, the lighter impact you have on the planet. The cover of this ASUS Ecobook is made of bamboo and is truly a decent way of getting your compute power while lowering your electricity costs. All of the plastic inside this Ecobook is labeled and recyclable. The components are lined with cardboard and there are no paints, sprays or even electroplating used on its components. Do you know of any other devices that promote green living? Let us know in the comments. We live in a world where it’s never too easy to balance the highly evolving technology with the protection of our planet. Despite the efficiency and convenience technology have contributed to us, many companies have added to the environmental issues whether it is through their use of resources, factory conditions, or product-shipping all over the world, among many other unsustainable practices. 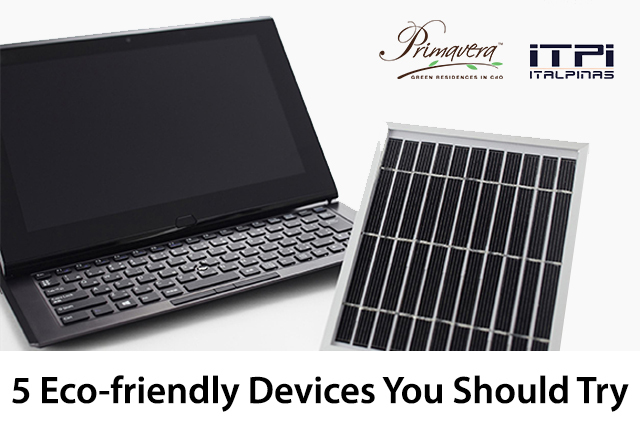 However, there are certain devices that could help improve our eco-friendly efforts. Even it is only to arm ourselves with information, our smartphones could be our daily reminders on how to be kinder to the environment. 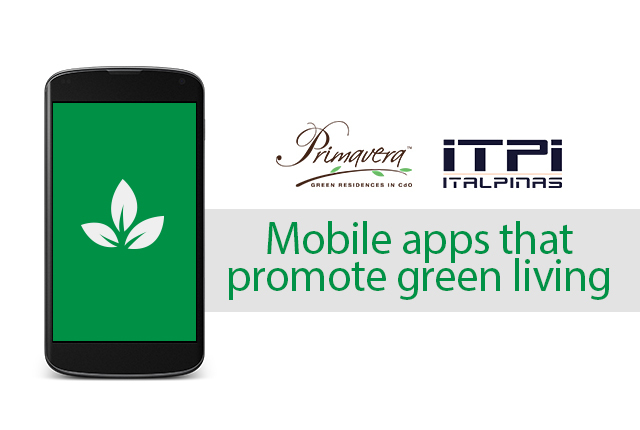 Below are this list of some eco-friendly mobile apps you can download on your mobile devices. A simple yet powerful concept, the EcoCharge app will ring an alarm when electronic devices are fully charged to increase battery life and prevent unnecessary energy use. Instead of leaving a cellular phone or laptop continuously charging at home or work when the battery is fully charged, it helps users become more aware of energy use while providing great eco-friendly tips on how to stay connected and energy efficient with our favorite tech gadgets and devices. iViro helps users create more sustainable homes and living spaces. Perform a customized energy analysis to receive a detailed overview of your home’s heat, cooling, electricity, water and appliance energy consumption patterns with annual cost and CO2 emission estimates. Additional features provide ideas on energy-saving alternatives and strategies to ensure your home is energy-efficient and cost-efficient while reducing its environmental impact. We don’t immediately become eco-geniuses. It takes time, effort, and education to get there, which is why this app is such a great place to start. There is no creating solar panels or learning to make a dress out of used corn husks; just practical and simple tips that are easy for anyone to implement into their daily lives. Whether it is catching the bus, or walking instead of using the car a few times a week; buying from a local farmer’s market instead of a grocery store, or just learning how to recycle for the first time; this app has you covered. You can challenge yourself with 7-minute workout for 7 months using nothing more than a chair, a wall, and your own body weight. The 7-minute workout is based on scientific studies to provide the maximum benefit of working out regularly in the shortest time possible. No electricity needed. Workout anytime, anywhere. Greenpeace has been the most well-known name in environmentalism for decades. Now it has an app that both helps support its cause and teaches your children about protecting the planet and all its creatures. Plenty of games, news from Greenpeace globally, and online efforts are featured. 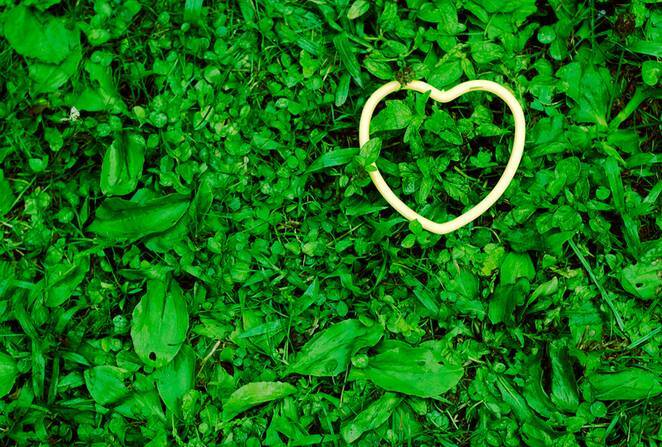 Do you know of any good apps for going green? Let us know in the comments.